Reply ▶ Meta Roleplay - The Spring Market Ongoing! tab Before the mass arrival of other ponies, Drizzletown had opened its doors to a peculiar set of ponies. They arrived but once a year, on the heels of winter’s departure to celebrate spring. The traveling band of ponies arrives with tambourines and ribbon dancers, setting up tents through the entirety of town. Booths and games line the streets of the quaint little town, turning it into a bustling cityscape of color and sound. tab The carnival is one of the most enticing holidays in Spira’s domain. The celebration opens with a grand parade down Main Street, the dancers and entertainers heading the festivities. 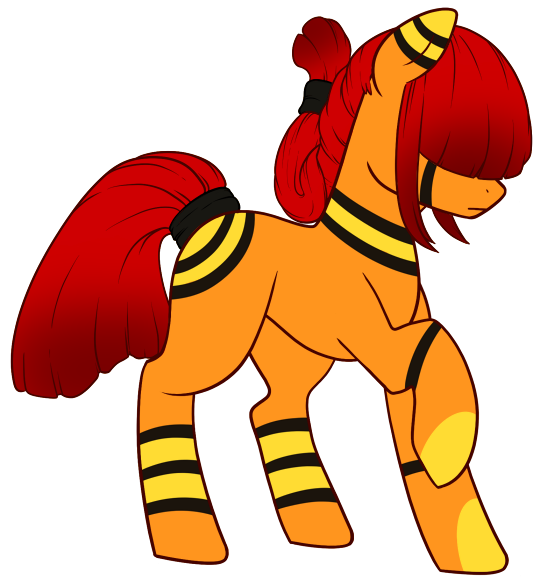 All sorts of ponies showcase their talents—sword swallowers, fire breathers, dancers and singers. Any pony in attendance of the parade is certain to leave with a flower crown or six, distributed gleefully by the arriving entertainment. The parade culminates with a show in town square, each performer having their moment of glory in front of the entire town. tab That’s when the fun really begins! tab For the following month, the carnival opens its booths to patrons of every kind. Artisans, crafters, merchants and traders all find a home in the Spring Carnival family. Unlike other carnivals, the Spring Carnival isn’t known for seedy merchandise and unfair deals. These ponies bring their best wares for show, eager to make sales and deals. Chances are, if you’ve dreamed of it, you can find it for sale at the carnival. tab Nestled together are all sorts of games and rides—a great, towering ferris wheel, magic shows, every bit of entertainment you could ask for. Hoping to win a goldfish? Wanting to learn to juggle? It’s here in the entertainment alley of the carnival! Foals and adults alike find joy here in the carnival and its delights. tab So come one, come all! Come down to the Spring Carnival, and see what wondrous delights await you! Mingle with the merchants, pal it up with the performers, talk with the traders! Whatever you do, be sure to enjoy it while you can! The Spring Carnival lasts but a month, and then it’s gone again! tab For the Writers: This stage of the META lasts seven days. It will end Feb 18th, at 5:30pm EST. We will be moving onto the next stage. The point of this stage is for ponies to meet one another and mingle. Get to know each other and experience the fun that is the market. Remember to read the rules; there are specific ponies you can and can't use for this META and specific rules. You can only use the pony that was made for you for this META in the current stage of the event. Your pony will have been dropped here. If you lack one and wish to enter the META, please DM Nymphiea via Discord your favorite color, or PM your favorite color to Nymphiea. You will get your META pony asap. Your event pony does not need a cert to RP in the META. Due to the fact this is a timed event, you may RP your pony without a cert, but only in this META and the threads associated with them. Do not RP the META pony anywhere else yet. For very specific reasons pertaining to the story of the META, you may not use your META pony anywhere but in this event. That means they cannot breed, meet other ponies via RP, or be entered in the Heart and Hooves ORPs. They may be back plotted and RPed in the Discord! This takes place at the Spring Market. Please ensure your pony is RPing where everyone else is; The Spring Market! This is basically an ORP, so post your response here. If you have any questions, ask Moonstone Dazzle (So Long Gay Bowser) first. They're the creator of this META and the Head RP Manager! Please approach them first for questions, as they know more than Nym does about this META! It was finally, finally time for the carnival again. For nearly a year, she had counted the days, the hours, the minutes until it was time. And now, here she was, able to sell her wares at last. Blown glass figurines of every shape and size- pegasi mid-twirl, unicorns casting spells, all sorts of beasts and birds and wondrous things. Creatures that did not even exist, brought to life by her delicate hoof. The thought had her giggly, setting up her stand with hanging birds to draw the eye. Delicate Trinket smiled to herself, then looked out to the open streets. Tonight would be the grand parade. Then, it would be her time to shine. She simply couldn't wait to get started! She was ignorant to think anyone would even be remotely interested in her wares, but she'd been told to take them and sell them. They were just things she'd done to pass her time in solitude after all, but since she'd used precious materials her family demanded she would not let them go to waste. The quality was apparently decent enough that she'd been given permission to sell at the Spring carnival, even though her booth was much smaller than most and also set farther away than the others. Such things suited Shadowed Flower, as she sat herself beneath the shade cast down by the banner on her booth. The earth mare longed for more darkness, to hide herself from the throngs of ponies she knew would be here. Perhaps if she just left a note, a 'pay what you will' she wouldn't even need to be there and be seen. Someone such as her was too.....much to be viewed by such vibrant and energetic folk. She belonged in the background, away from sight and mind. But of course she had to be there to sell them, to make sure money was properly exchanged for goods that were more fit for a dumpster than a pony's mane or tail. Wilting beneath the Spring sunshine, Shadowed Flower hoped no one would notice her. Teal Tale sniffed the air thinking she could smell something sweet which was nice and all but didn’t really tickle her fancy. There was just so much going on with the venders all over the place. She of course was out to find the fruit stand and maybe find somewhere that sold some cute stuffed animals for her collection. She didn’t see the type to love cute things but she really did it rivaled her love of sour tastes. Her sister Deli had been killing herself getting things ready for the market. It had turned out really well. The stall looked like it had been gilded with small figurines dancing across it on the reflected light. Teal was always amazed by her sisters’ skill and the amount of time she had taken to prepare for this was unbelievable and yet her big sister took it all in stride. Peeking around she was viewing the stall from the distance to see how the light was hitting the figurines. Yes it was perfect. Nodding to herself she finally turned to venture off and see the other stalls. She saw lots of food stalls and a face painting station. That was amusing. Teal Tale ended up with a small butterfly on her cheek. It was mostly hidden behind her longer bangs. Teal Tale frowned in the mirror looking at it thinking it was a shame it was so cute but hidden. Leaving the main track of venders Teal started to look for a specific vender. The hair accessories were second to none at Shaddowed Flower’s stall and Teal had more than a small interest in the other pony. Trotting up she smiled at Shaddowed Flower from under her bangs. “Good morning. You look as cute as ever. Could you help me pick a barrette to help hold back my bangs on this side?” She pointed at the cheek that had the butterfly face paint on it. “I want to wear something you think is cute on me.” She trusted Shaddowed Flower’s sense of taste as the other pony had a large amount of skill in crafting and clearly had an eye for detail. It was as good as her sister’s in Teal’s mind which was the highest praise she could give. The shifting of the seasons meant only one thing to Starshine: the Spring Carnival. The carnival meant the parade and that, in turn, meant all of the work the pegasus had done in both keeping himself perfectly preened and ensuring his routines were flawless would soon come to fruition. His wings curled tightly to his back as he brushed his hair and tail, smoothing the pink strands with careful strokes. He had only a few more hours to prepare for the parade and he still needed to get to Sunset and pick up his costume for the night. With a soft hum, he placed the brush down and swept his bangs from his eyes. Tonight would be his night. Cherry Limeade grumbled as they ambled down to the market attached to their cart. Normally they would have flown the wagon down earlier, without their precious fruit cargo, but things had come up and plans had changed. They didn't mind the walk usually, but with all the fruit in the wagon it was a heavy endeavor to bring it to the market. They glanced around at the market square, it was shaping up to be a lovely spring market carnival. When Cherry reached the designated spot they started to unlatch the cart from their back. They were more than ready to have the weight off their shoulders. They noticed that they were parked next to a fine glassware stand. The little creatures made of blown glass were very well done and they took a minute to appreciate the little figurines before getting to work on setting up their own market stand. They lifted the canvas cover and pulled up the wooden latch that kept the wagon closed and pushed it upwards with little force. The fruit was still packed neatly in the moving barrels Cherry grabbed an empty display stand with their mouth and set it down in the display area of the wagon stand and started carefully setting up their fruit display. Plimiah smiled as she walked through the carnival. Everyone was so happy and she was happy and felt so at peace. She refused to think about how her stage props were late coming. She knew her friend would rather die than let her down if there was anything they could do about it- particularly if it had to do with a performance. So, there was nothing to do but get acquainted with this year's layout and make sure she was seen to be doing so- she did not want her spot given away to someone who reserved late because she didn't appear to be set up yet. She watched a pony making fresh cinnamon doughnuts and she waited until they were not quite as fresh out of the oil as she'd have liked before buying one; she didn't want to risk hurting her mouth before she had to use it. There weren't many nice carnivals like this and she needed to make the best impression, best hoof forward, every year without fail. Fizzy Lemonade pulled a cart piled high with small stones, which were haphazardly secured with bits of cloth woven together into a net of sorts. Baskets on the side of the cart were full to the brim with leaves, feathers, bits of cloth and paper, anything you'd do craft things with. And yes, even more small stones, put on top to keep the bits from fluttering away in the breeze. On the back of the cart was a sign that read "Fizz's Pet Rocks!" in still slightly wet paint. Cursing herself for deciding to bring her entire collection of rocks, Fizz isn't paying too much attention to those around her. Only just enough that she won't run into anyone or knock anything down. Oh, and she should keep an eye on Cherry Limeade too, since the plan was to set up shop near the fruit stand, so Fizz can help out there too if needed. Puffing Fizz finally makes it to the fruit cart, grunting through the last few pulls to get out of the way, making sure the sign shows toward the market center. Unhitching herself from the cart, Fizz sets to work very carefully, it wouldn't do to send the pile of stones tumbling over. Once it's all been set out, baskets of stones and decorative bits framing her cart, Fizz finally gives herself a moment to look out at the market. Some interesting wares for sale this year. Fizz wonders if anyone would be willing to trade for a pretty stone. Or even, if anyone would like her pet rocks at all. Well, even if they don't, Fizz can make even more and she at least would love them. Near the very middle of the entire affair there seemed to be a large circle where ponies were giving one in particular a wide berth. Just as wide as they could possibly manage, for safety sake of course, which was needed given exactly what it was that she was doing. Fire spun around her, tethered to the end of chains around her hooves, following an intricate dance that held the attention of others. One she'd been doing for quite some time, which meant it was likely time for a little bit of a break for the sake of some water. If she got too dehydrated then her mouth would get burned to a crisp. With one final flourish she pulled the two spinning flames towards her and "swallowed" both of them, extinguishing the flames with a discreet breath just moments before they both entered into her mouth. Releasing both after only a second or so, Miss Bullseye spun the chains so they knotted together before her and bowed deeply to the crowd. It wasn't that she lived for their cheers, though she did soak them in, but the little pony was intensely proud of her skills. That didn't mean she always wanted to be in the spotlight though. "Thank you for your attentions and applause! But now there are new places and beautiful stalls to draw your focus." Another bow as they began to disperse and Bullseye slung the still warm chains over her shoulders and gathered the rest of her belongings up. It didn't take long to get them all together and drop them at her cart, which gave her the opportunity she needed to look around at what she might be able to get in manner of a drink. For certain there were numerous fruit stalls set up and still popping up all over, maybe one of them could even spare some for a good fruit smoothie? A neutral look settled firmly on her face as she looked around, shifting from foot to foot around the edges of the festival. There were quite a few places within quick walking distance and just ponies everywhere. Outside of her performances being around so many ponies gave her pause, not because she was shy but because she couldn't bring herself to be overly close. No, Miss Bullseye didn't let many close at all. Serene Seas made her way slowly through the crowds, going from one stall to another, trying to find what she could use for her decorations. She was a part of the new group that had been invited into Drizzeltown, but she wasn't one of the performers. No, the stage just wasn't where she belonged. Too much energy and attention. She left that up for the performers to soak up and receive, and she would quietly be in the background, praising them also while admiring her work. Her work being making the costumes and any other decorative things that may have been needed for the various performances such as flower crowns, ribbons, headbands, etc. and of course helping out with some miscellaneous tasks. Of course, she wasn't the only one to do such a thing within the group and she certainly wasn't the leader of them, but still, it gave her a sense of purpose and a reason to belong in the group. Otherwise she would be spending her days quietly at some beach and living near the ocean. Maybe in a home of her own! But that was just a wistful dream that she had at times. She was perfectly happy being with the performers. With that being said, she managed to spot one of them, and took her time getting over to them since they seemed to be lost in thought and she certainly didn't want to interrupt them if they were thinking about how their performance should go! "Miss Bullseye! Is there anything you need? I can get it for you if you want." Serene said as she made her way over, still pulling the small cart behind her. She was happy to help in any way. And if the pony didn't need her help, well that was that and she would continue on her way, seeing if any of the other performers needed something or finding materials for last minute things. If you have someone else in mind to rp with then this can be a short interaction! Oh dear he maybe just a little late, he hadn't been able to help himself. There was a perfect little spot on his travels here that had marvelous acoustics he started singing and a few travelers stopped to listen one impromptu concert later and well now he was traveling at a trot. The red and yellow covered wagon he pulled jingled with the sound of bells strapped to its side as he pulled into the festival. Razzle Dazzle had never liked the sound of silence so while he was a lone traveling bard he refused to travel quietly thus the bells. He pulled his cart near side lines of the stage not in the way just in a place he would set up for the duration of the festival. He quickly anchored it and moved inside to freshen up after a full trot in. Once his hair was fully brushed and he smelled of sweet flowers he came out of his covered wagon. Moved to the side and pulled down the side panel that showed a few posters of him on it and a place he might be able to sell some merch and sign things should ponies be interested. After all the fee for preforming only supported him so far and every bit counted. Now that he was all settled in Razzle Dazzle took a look around he smiled catching the tail end of the fire spinners performance, Amazing he would have to compliment them later when there was less of a crowd. His own performance wasn't till later tonight so plenty of time to meet some ponies or perhaps look for new costume additions. It was then he noticed a familiar fruit merchant and moved across the busy festival. "Cherrry!!!" He called in a sing song voice. "How is my favorite fruit vendor?!" He asked with a laugh watching her set up for a moment. "Need a helping hoof?" Razzle offered with a smile. "Also you know I'm going to need one of your precious dragonfruits of yours before I preform tonight." While he was speaking though he couldn't help but notice a yellow pony with long pink hair. There was something that just screamed fellow performer to Razzle, he would catch up with Cherry give a helping hoof if needed then head over to meet the other performers when he could. Looking up from her stand, Delicate Trinket noticed the other vendors and performers coming in. Finally! Oh, it was the best time of year! With a flutter of her wings, she trotted over to Fizzy Lemonade, a bright smile on her features. "Fizzy! I'd love to see your rocks for this year. Will you show me?" Fizz waves at Delicate Trinket when she comes over, bouncing lightly in excitement. "Hello! I don't have many made yet, I didn't want them to get squished on the way here. Or you can decorate your own, I brought lots of rocks and bits, figured I'd try something new and let ponies make their own." Fizz takes in a few gasping breaths, she should remember to pause for breath. Grinning Fizz shows off the baskets of rocks and deco bits, and one basket carefully packed with rocks decorated mostly simply, but one or two with feathers or leaves glued on. "I take custom orders too, you can pick a rock from the baskets and tell me what kinda theme you want for it." Cherry openly groaned as they noticed as Razzle Dazzle approached the fruit cart. They didn't actually hate the unicorn, but Razz had always had a way of pushing their buttons. "To what do I owe the honor of seeing you today?" Cherry kept a close eye on the Unicorn. Razz was known to nudge fruit off the display so he could claim it was ruined and could not be sold. "By "helping hoof" of course you mean how you can get free fruit." They snorted at the unicorn. "If I hand you a few of our less than perfect dragon fruit will you leave me be?" Piper sat in a chair next to Shadowed's table, chewing bubblegum, and tuning out her sister and the pony inquiring about her wares. She was checking her phone to see if her online friend, "Zen", was here. She was wearing her Shiny Sylveon Cosplay since they had put alot of planning into wearing them together during the festival. When she hadn't seen a reply yet, she looked around to see if anyone else she knew was here. ▶ Meta Roleplay - The Spring Market Ongoing!